Looking for a postcard-perfect European town to visit? Here are twenty of the most magical fairytale towns in Europe that you need to add to your bucket list! From charming Alpine villages to half-timbered medieval towns to colorful fishing villages perched on the edge of cliffs, you will feel like you have stepped into the pages of storybook if you visit any of these fairytale destinations! Where to stay: If you make a visit to any of these fairytale towns, I highly recommend booking an Airbnb. Many of these destinations are so small that they don’t have a large tourism infrastructure with chain hotel presence, etc. Staying in an Airbnb will give you a unique and charming experience while helping to support a local small business owner in the area. 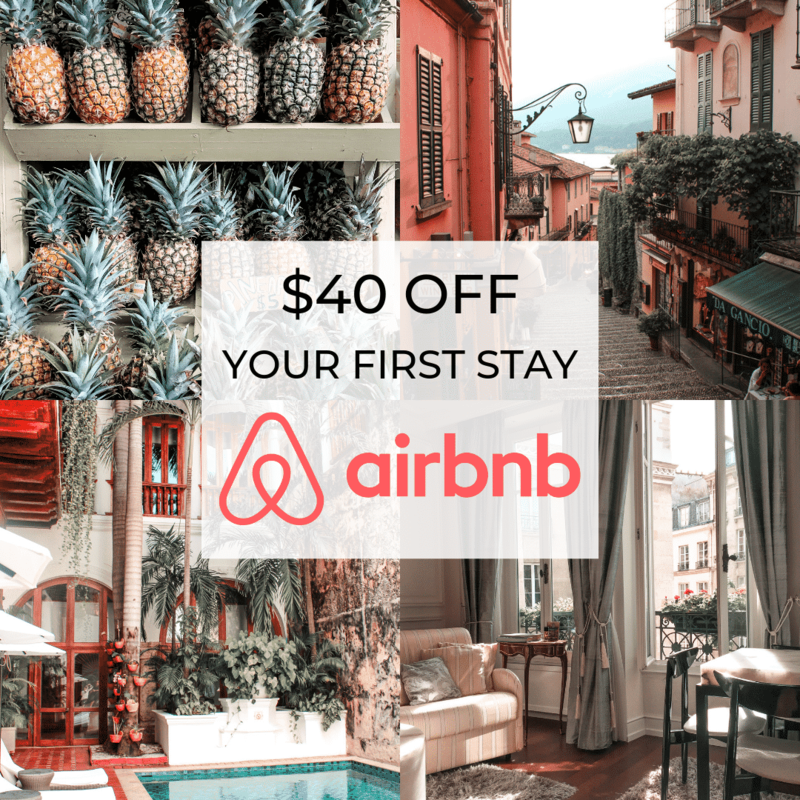 If you don’t already have an Airbnb account, you can sign up here and get $40 off your first booking! Hallstatt is located just a short train ride and ferry trip away from Salzburg, Austria. This tiny Alpine hamlet of just 860 residents is perched on the edge of a crystal-clear lake, with breathtaking mountains forming a dramatic backdrop. On a visit to Hallstatt, you can enjoy wandering around the tiny village and its pretty church, or take a tour of the world’s oldest salt mine, located nearby the town. Lake Bled is one of those places that looks straight out of a storybook. This small Slovenian town is perfect for nature-lovers, with lots of opportunities for hiking, boating, and camping nearby. Colmar, nestled in the Alsace region of France on the border with Germany, looks like it’s straight out of a fairytale with its colorful half-timbered houses, cobblestone streets, and little canals. This quaint medieval city in northwestern France is the perfect place to visit if you want to experience the unique culture of the Brittany region. Many locals in this riverfront town speak Breton, a Celtic language brought over from Britain in the middle ages, and it’s not uncommon to hear Celtic music playing the shops! Reine is a tiny, isolated fishing village on the edge of the Arctic Circle in Norway. If you’re looking to get away from it all and go off the beaten path, this is the place to go. Reine may be a bit out of the way, but the stunning natural landscape, outdoor activities like hiking and kayaking, and breathtaking views of the Northern Lights make this Scandinavian gem worth it. You’ve heard of Gruyère cheese, but do you know where it comes from? Gruyères is a tranquil, picture-perfect medieval hamlet nestled in the foothills of the Swiss Alps. Come here to enjoy the charming cobblestone streets, impressive 12th-century castle, and of course some of the famous Gruyère cheese. Just a couple hours away from Prague by train or bus lies this enchanting red-roofed Czech town. Ceský Krumlov is the perfect European small town, and an ideal place to spend a few days wandering the cobblestone streets and exploring the medieval castle. Sibiu, Romania is off the tourist path for many, but it’s a lovely hidden gem not to be missed! This Transylvanian town has quaint, Germanic architecture and a laid-back bohemian vibe. The half-timbered houses and medieval charm of Eguisheim, nestled in Alsace right on the border with Germany, make this tiny French village look like it came right out of a Grimm Brothers fairytale. Located in the picturesque Cotswolds in England, Chipping Campden is the perfect destination for someone who wants to enjoy a slower pace of life. Surrounded by rolling hills and green meadows, Chipping Campden makes a great base for exploring the Cotswold region. This sleepy town nestled on the southern end of the Cotswolds is another British gem. While there isn’t much to do in this town, it’s the perfect place to stop and take things slow while enjoying the lovely village shops and quaint streets. The charming 16th-century Bosnian town of Mostar is most famous for its picture-perfect Stari Most bridge. However, venture further, and you can find a beautiful blend of Balkan and Islamic architecture within the city streets. Rocamadour, France, is a stunning village built into the side of a cliff in southern France. Aside from its dramatic scenery, Rocamadour is known for being a pilgrimage site for those seeking its shrine to the Blessed Virgin Mary. Stroll down the single street of Rocamadour and admire the ancient monastic buildings sprinkled in between restaurants and shops. Giethoorn is a tiny village most famous for not having any roads! Canals are the only way to travel through this quaint Dutch village home to just 2,620 residents. Cinque Terre (literally “Five Lands”) is actually a series of five ancient fishing villages perched precariously along Italy’s Ligurian coast. Pictured above is the village of Manarola. While Cinque Terre sees its fair share of tourists, the villages have retained their rustic charm and you’ll feel as if you’ve been transported back in time when you visit. Read my complete Cinque Terre travel guide here. One more charming Cotswolds village on this list, and possible the prettiest of all, Bibury will make you feel as if you’ve been transported back in time. Spend your time here walking along the plentiful footpaths past ancient stone cottages and lovely gardens. Overshadowed by the more popular Cinque Terre nearby, Tellaro is a hidden gem on Italy’s Ligurian coast. If you want to escape the crowds at Cinque Terre, visit this seaside haven instead. Bruges, known as “Venice of the North,” is home to scenic canals and stunning medieval architecture. This town, located just over an hour from Brussels by train, has a lot to offer. (I would even say to skip Brussels and come straight to Bruges!) When in Bruges, take a boat tour through the canals and don’t forget to indulge in the famous Belgian chocolate and Belgian waffles! Mittenwald, Germany looks like it could be the village from Hansel and Gretel. This little Bavarian town nestled in the Alps is famous for its violin-making history. Today, visiting this fairytale town is like going back in time. Last but not least on this list, Positano is the jewel of Italy’s Amalfi coast. Located just a short train ride away from Naples, this breathtaking cliffside town dotted with pastel houses looks like something out of a storybook. It’s the perfect place for an idyllic beach getaway! Which of these fairytale towns is at the top of your travel bucket list? Don’t forget you can get $40 off your first Airbnb booking if you want to make a visit to one of these beautiful storybook towns! Hello! My name is Dale and I started Wander Her Way as a place to inspire and inform female travelers around the world. Here you'll find travel tips, destination guides, and helpful resources for planning your next trip! 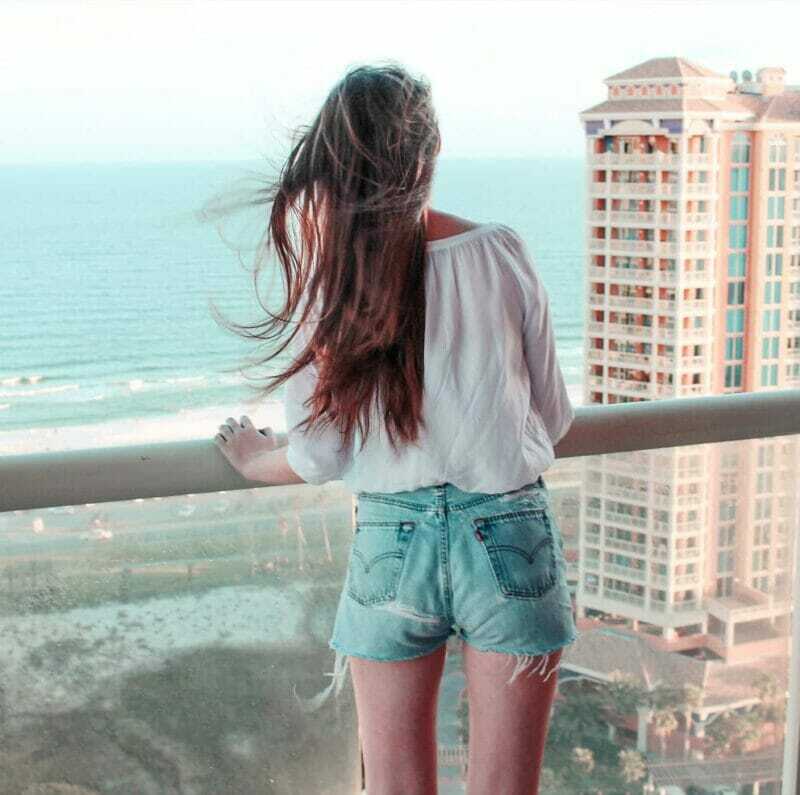 Want to start a money-making travel blog? 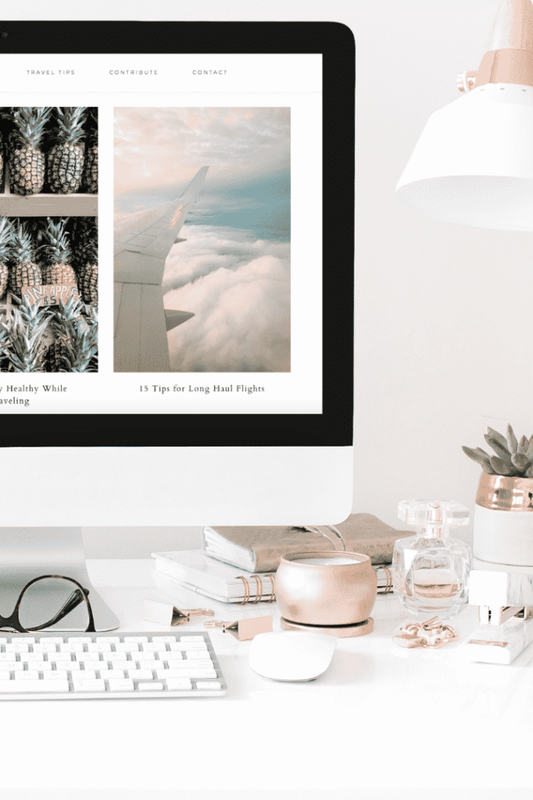 Join the waitlist for my course Travel Blog Academy to be notified when enrollment opens for 2019!